Deep in the centre of the earth, a diamond is formed. Though many will admire its beauty and usefulness, when its formation is complete …no one views the process by which it is formed. 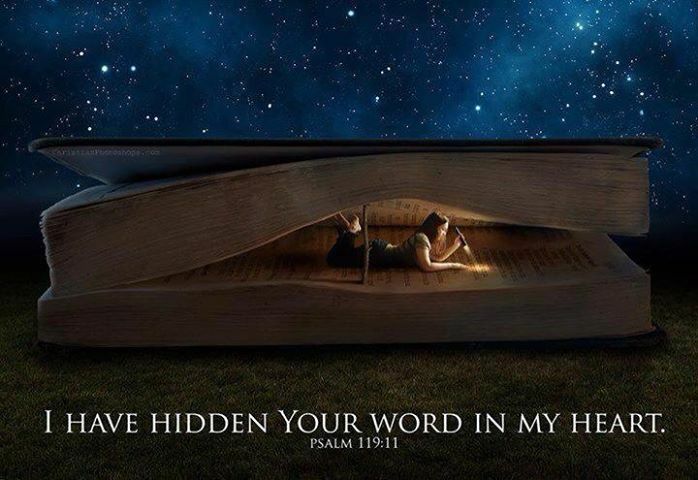 It is hidden, unseen, in the darkness, so is the Word of God hidden deep in the heart of man. There is an eternal purpose in those places of darkness, where no one sees what is going on… God’s Word will form us into something beautiful in the Spirit. The Word will strengthen us for a place in His Kingdom just as diamonds have a unique place of usefulness in industry - they can cut through anything! Two conditions are necessary for the formation of diamonds …heat and pressure. The diamond is the hardest natural substance on earth and is regarded by many as the most beautiful of all gemstones. Rough diamonds, taken out of the ground, resemble gravel more than they do the beautiful stones that we see in engagement rings and necklaces. It takes professional diamond cutters using special tools to shape the gem into something beautiful. In fact, the only substance that can polish a diamond, because of its hardness, is another diamond …and in the same way we can only be polished by God’s Word. The most notable use of diamonds is as gems. But diamonds don't start out that way …they must be subjected to the process that will develop their beauty and usefulness. Similarly, the Word of God in the heart of man is hidden, unseen and working to perfect us. As the diamond is cut, the imperfections are revealed. These internal imperfections are what help to determine how valuable the diamond is. There is such a thing as a "flawless" diamond and is therefore a highly desirable thing. A diamond is considered "flawless" if NO imperfection can be seen when it is magnified ten times. However, if you increase the magnification enough, every diamond has some flaw or imperfection! The Bible, the Word of God, though brilliant, precious and valuable …is NOT like the diamond in this way …it is truly flawless! The Word of God is completely true and free from error! Proverbs 30:5 “Every word of God proves true; he is a shield to those who take refuge in him.” Since a perfect, trustworthy God has caused His words to be written down and preserved in the Bible. It can be trusted as being free from error, mistake or flaw! For centuries, men have closely examined it, sometimes claiming to find imperfections and errors, but in the end, the Bible still stands as the perfect Word of God …without error or flaw. The Bible claims to be God-breathed words, and that God himself, started the process of writing down these words. Because of the brilliance, hardness, and rarity of diamonds, it is the most famous gem …but what makes it rare or valuable…? Amazingly, although diamonds are the strongest substance in the world, it is made from the same substance (carbon) as common sand that we walk on. What makes diamonds valuable is the process that they've gone through! Even after we surrender our lives to Yeshua (Jesus), a process must take place …we must be cut, shaped and polished, if we are to shine for Him. We must learn to trust that He's in charge of our lives even when it looks like nothing's happening. His best work is taking place in us when it seems nothing is going on. 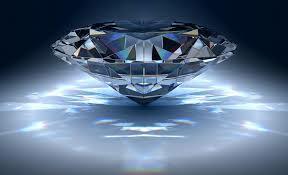 Like the diamond, or gem, deep in the centre of the earth its ‘pressure’ is its strength. The diamond has long symbolized the qualities of purity and strength. The process involved in its formation renders the substance virtually indestructible. It is the hardest surface known to man. Why would God hide something or someone in the first place…? The Scripture says, “It is the glory of God to conceal a matter, but the glory of kings is to search the matter,” Proverbs 25:2. Even the English text shows us that to His glory, God hides things. The Hebrew text, however, gives us a bit more insight into His purposes. The root of the Hebrew word translated as “conceal” is “satar.” This word means “to hide or conceal” but it denotes something that is concealed for the purpose of provoking someone to look for it. It would be similar to the children’s game of “hide and seek.” The very reason to go hide something is so that someone will come seeking. Thus, we understand that our amazing God hides things or persons, so that someone will be “provoked” to look for what is “concealed.” Furthermore, to find the “concealed” things means that one has to look “beneath the surface! No one ever finds “treasure” lying on the surface, but always buried beneath the ground, just like the diamonds. This helps to insure that those who are seeking will find the treasure at the precise time. God’s Word is full of treasure and all we have to do is to search deep and we fill surely find what we are looking for! 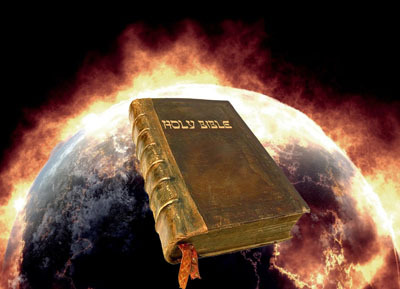 The Bible IS the Words of God and it carries the weight of the One who has spoken them. If God isn’t trustworthy then we shouldn’t trust His Words! It’s important to remember that because the Bible is the Word of God! The “God breathed” Words - this Word is tied to His character. If His Word would prove untrue, that would show God to have lied - something He is incapable of doing. God cannot lie because He is perfect and holy … He is NOT like us! Numbers 23:19; “God is not man, that he should lie, or a son of man, that he should change his mind. Has he said, and will he not do it? Or has he spoken, and will he not fulfill it?” His words are true because He is true and His perfections and faithfulness are the reason why we can trust His Word. 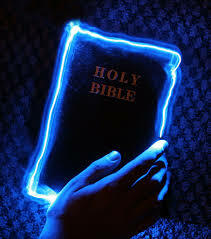 Psalm 12:6; “The words of the LORD are pure words, like silver refined in a furnace on the ground, purified seven times. The Psalmist says here that all of the words of the Lord are without any impurity, like pure silver that has been refined. God’s Word is pure and perfect! Psalm 119:160; “The sum of Your word is truth, and every one of Your righteous rules endures forever.” When the psalmist adds together all the words of God, the result is truth: they are all reliable, truthful, firm, and able to be trusted and depended on. There is NO falsehood NOR un-reliability in them. 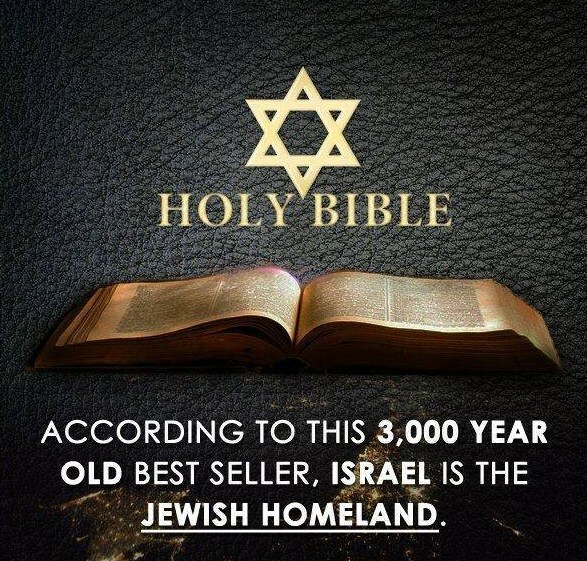 The Bible was written over a span of 1500 years, by 40 authors… Unlike other religious writings, the Bible reads as a factual news account of real events, places, people, and dialogue. Historians and archaeologists have repeatedly confirmed its authenticity. Using the authors' own writing styles and personalities, God shows us who He is and what it’s like to know Him. There is one central message consistently carried by all 40 authors of the Bible: God, who created us all, desires a relationship with us. He calls us to know Him and trust Him. The Bible not only inspires us …it explains life and God to us. It does not answer all the questions we might have, but enough of them. It shows us how to live with purpose and compassion and how to relate to others. It encourages us to rely on God for strength, direction, and enjoy His love for us. The Bible also tells us how we can have eternal life. Does Archaeology substantiate the Bible’s historical accuracy…? Archaeology has also refuted many ill-founded theories about the Bible… For example, a theory still taught in some colleges today asserts that Moses could not have written the Pentateuch (the first five books of the Bible), because writing had not been invented in his day. Then archaeologists discovered the “Black Stele.” “It had wedge-shaped characters on it and contained the detailed laws of “Hammurabi” (a well-preserved Babylonian law code of Mesopotamia). It is one of the oldest deciphered writings of significant length in the world. Was it post-Moses? No! It was pre-Mosaic …not only that, BUT it was pre-Abraham (2,000 B.C.). It preceded Moses’ writings by at least three centuries. 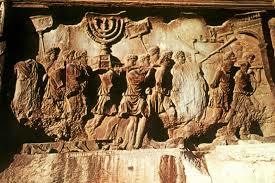 Archaeology consistently confirms the historical accuracy of the Bible! “I am God, and there is no one like me, declaring the end from the beginning and from ancient times things which have not been done, saying, My purpose will be established, and I will accomplish all My good pleasure,” Isaiah 46:9-10. Only God can know the absolutes of the future. Nevertheless, He does give us a clue through His Word how to understand the future. He hints to us that the “end” can be found in the “beginning.” You see, He does not declare the end “from the end,” but “from the beginning.” That is why many find it difficult to understand the Book of Revelation – the end – until they take time to understand the Book of Genesis – the beginning! Therefore is we start from the beginning and read through to the end most (not all) of the mystery becomes clear. Has the Bible changed over time? Or, do we have what was originally written…? Some people have the idea that the Bible has been translated “so many times” that it has become corrupted through stages of translating. If the translations were being made from other translations, they would have a case. But, translations are actually made directly from original Greek, Hebrew and Aramaic source texts based on thousands of ancient manuscripts. 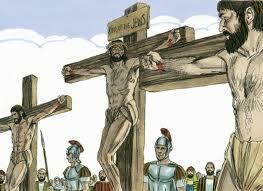 The Old Testament’s accuracy was confirmed by an archaeological discovery in Israel in 1947. “The Dead Sea Scrolls” whilst the majority was written in Hebrew the collection also includes Aramaic and Greek text …containing Old Testament scripture dating 1,000 years older than any manuscripts we had. When comparing the manuscripts at hand with these, from 1,000 years earlier, we find agreement 99.5% of the time. And the .5% differences are minor spelling variances and sentence structure that doesn’t change the meaning of the sentence. The New Testament is humanity's most reliable ancient document… There are thousands of copies of the New Testament all dated closely to the original writing. In fact, we are surer the New Testament remains as it was originally written by its authors …than we are sure of writings we attribute to Plato, or Aristotle, or Homer's Iliad. Suetonius, Pliny the Younger, and Thallus… also wrote about Christian worship and persecution that is consistent with New Testament accounts. This is remarkable information considering that most ancient historians focused on political and military leaders, not on obscure Rabbi’s from distant provinces of the Roman Empire. Yet ancient historians (Jews, Greeks and Romans) confirm the major events that are presented in the New Testament, even though they were not believers themselves. 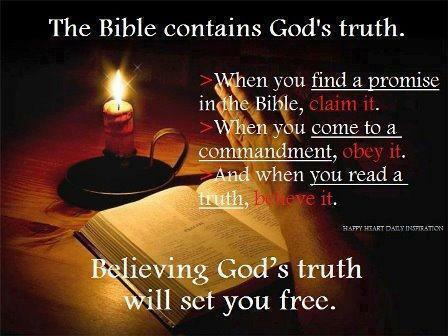 Are there contradictions in the Bible…? 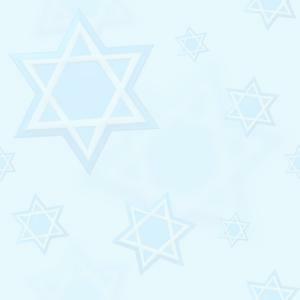 Throughout history, both Jews and Christians have honoured the Word of God. The concept of authority of God’s Word is found from Genesis to Revelation. As the Bible was being created, God’s Word was spoken and dynamic. The Word of God is alive and dynamic as we apply the Bible, His Word, to our lives. In the Scriptures the God of creation makes Himself and His will known by His Word. When God speaks, things happen, and His Word accomplishes what it sets out to perform. God says through Isaiah, “So is My Word that goes out from My mouth, it will not return to Me empty (void), but will accomplish what I desire and achieve the purpose for which I sent it.” (Isaiah 55:11) From the opening chapter of the Bible in Genesis, we see how God created the entire universe by His spoken Word. “And, God said, “Let there be light, and there was light,” Genesis 1:3. The phrase “And God said” is found throughout Genesis! When God spoke there was a direct action that fulfilled His Word as creation unfolded before Him. In this case, God’s Word is not just another part of history … but creates history! God’s Word is instructive and prophetic… God not only creates by His Word, BUT He gives instruction and direction to man so that we can know how to live before Him and be blessed. God uses prophets to do this. In the Bible God calls the prophet to this work; Isaiah 6; Jeremiah 1; Ezekiel 1 …etc, and is the person through whom the Word of God comes. He received the revelation from God as he heard God speak to him, or through dreams and visions. Then, the message was delivered by proclamation, often confirmed with signs and wonders or a miracle.